Adding background music is essential to make the video more touching. But note that not all of the music files can be added to your video project. If you are trying to directly add songs from Apple Music to Camtasia, edit a short video on your phone with something like iMovie, or import your downloaded Apple Music songs to any other video apps, you will find out that it seems to be an impossible task. Why? In short, because each song from Apple Music is protected in the M4P format, users are allowed to enjoy on iTunes or Apple Music app only. In such a situation, to add Apple Music songs to your video project, it’s a must to get rid of the protection. 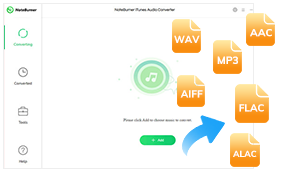 A powerful Apple Music Converter, supporting to convert Apple Music songs to plain MP3 format, will be able to help you out of the dilemma. There are a variety of Apple Music Converter in the internet for you to choose from. 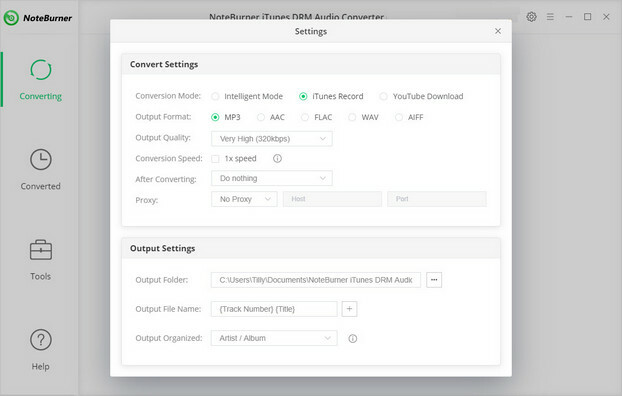 Here you are recommended to use the top-rated one – NoteBurner iTunes DRM Audio Converter. It is an easy-to-use program, dedicated to helping users convert Apple Music songs, and then enjoy them without any limits. 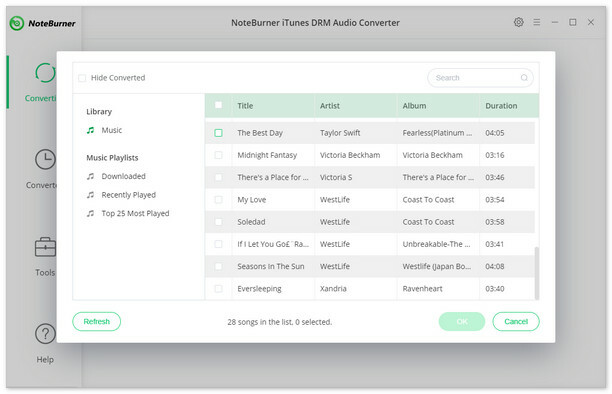 NoteBurner iTunes DRM Audio Converter (also called NoteBurner Apple Music Converter) is a smart yet easy-to-use Apple Music converting tool, specially developed to help users remove DRM from Apple Music streams while converting the locked songs from M4P to MP3, FLAC, AAC or WAV format. Besides, it also stands out for its beautiful and user-friendly interface, fast conversion speed, and lossless output audio. With the help of this powerful tool, you can easily get Apple Music in MP3 format and add to your video project. The following is the detailed tutorial to guide you to convert Apple Music and import them to video editing software. Please download NoteBurner Apple Music Converter first before getting started. Now, all the Apple Music songs have been converted to DRM-free files. You can open video editors like Camtasia, iMovie and import the converted music to them for editing.